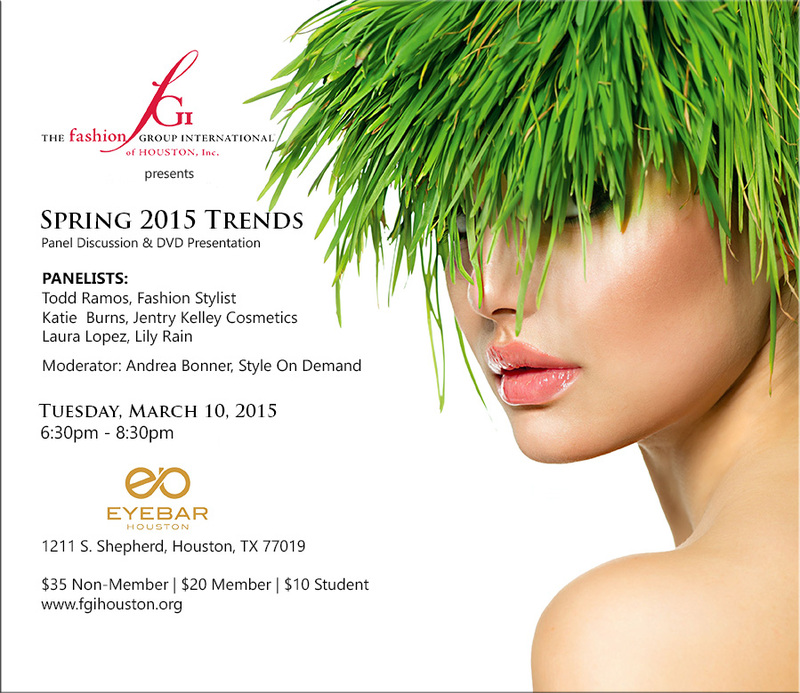 Please join us for our annual Spring 2015 Trends panel discussion and DVD presentation Tuesday, March 10th from 6:30pm-8:30pm at Eyebar Houston. Our panelists include: Fashion Stylist, Todd Ramos; Katie Burns, Jentry Kelly Cosmetics; & Laura Lopez, Lily Rain. The DVD presentation will follow the panel discussion. Early bird ticket holders will receive priority seating.